The three founders of the Rise are Anthony Burdi, Dave Johnson, and Joseph “Jo” Mullins, pictured below (respectively). Before The Rise had a name, it was simply “the thing” that Dave had come up with. The first workout was held on October 3rd, 2012, in Washington Square Park (two of three founders attended; the other was defeated by the rain). Over the years this “thing” went from being a weekly occurrence, to a three-day-a-week happening, to a five-day-a-week extravaganza! While the founders used to run the group all by themselves, responsibilities are now divided between leadership teams who love making their workouts (i.e. their “babies”) as awesome as possible! Speaking of our blog, I’ll let you in on a little secret: a great way to understand the history of The Rise is to go through the blog from start to finish. At the beginning, you’ll see it’s mostly Dave doing the posting. 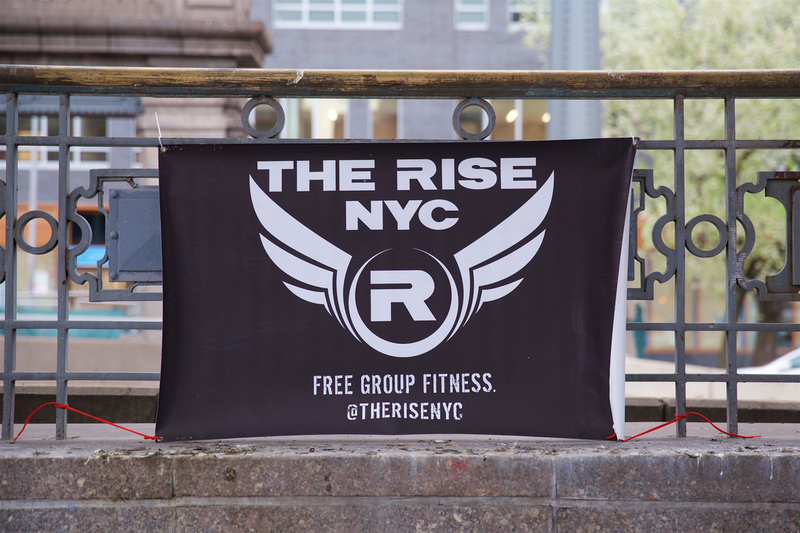 You’ll see the East River track and Fit Flash Mob workouts happening regularly. Then you’ll witness the formation of leadership teams (look for those dedicated faces that started coming in late 2013/early 2014 and ascended to Rise leadership glory!). You’ll see more posts authored by other Risers, and the start of some newer events like the Polar Plunge and some special workouts. Our group has a rich history, and the blog makes a great crash course in everything Rise! Lastly, this blog post provides Jo’s and Anthony’s recollection of the events that led to the creation of our awesome group! Happy reading! Subscribe to our blog to get all our updates by email!